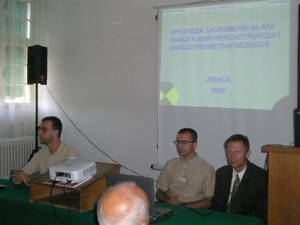 Each faculty of the University of Zenica has its own ECTS coordinator, who is in charge of ensuring the implementation of the ECTS principles and mechanisms. A faculty ECTS coordinator is tasked to take care along with a Zenica University ECTS coordinator, faculty deans and department heads that each student, in consistence with his/her own professional and personal orientation, may create his/her own profile of studies in accordance with the course units offered at the University of Zenica. He/she is also in charge of the procedure of the academic recognition of the courses passed at some partner university (a university that the University of Zenica has signed an agreement on recognition and transfer of scores with), and assists in understanding and proper use of the documents used for mobility procedures which the Bologna Process promotes. Agreements between partner institutions and students (membership form and studying agreement) make the basis of the student’ mobility. Those are the documents that facilitiate a student exchange during the studies, for those students attending and taking examinations in all the courses or a number of courses attended in a term at a receiving faculty or even at some other university. 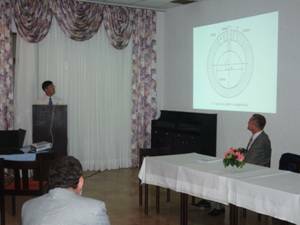 In the process all the passed examinations are recognized pursuant to the prior agreement and trilateral Agreement on Studying signed by a student, a receiving university and the home University of Zenica.